Howard Jackson are sales recruitment specialists based in the UK. With many years experience in the field, we source and deliver the best IT sales talent into a variety of clients throughout High Wycombe, the United Kingdom and across the world. We recruit professional sales people specifically for IT, telecommunications, cloud software, services, networking, hardware, eCommerce and other technology companies based near or in High Wycombe. We understand the marketplace and have a plethora of business connections so you can be assured that we have the inside knowledge to make a real difference to your career or to your business. Our team of highly qualified sales recruitment specialists provide an efficient and quality-driven service, which is based upon finding the best person for the job. Looking for an IT sales job in High Wycombe? If you’re a candidate looking for your next role in IT sales, then you’ve come to the right place! Howard Jackson have been well-established in IT and technology sales recruitment longer than any other company in the UK, so we can help you to find the sales job that you are looking for. 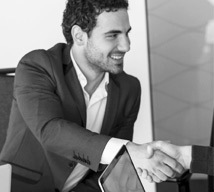 As trusted sales recruitment specialists, we owe it to you and to our clients to ensure that you suit each other. Therefore, we will only recommend you for the sales jobs that suit your skills, experience and ambitions, and match our clients’ exact requirements. Why not take a look at our current selection of live jobs vacancies in High Wycombe or register with us and receive the latest job alerts? Looking to recruit the very best IT sales professionals for your business? If you’re a client looking for great IT sales people, rest assured that we are fast, efficient and, above all, that we understand your industry. You just explain the type of person that you’re looking for, and our sales recruitment specialists will find the most suitable candidates who match your requirements and recruit the sales people that will make a real difference to your business. Visit our employers section to find out more information about the recruitment services we provide to companies based in High Wycombe. Unlike many other recruitment companies, our consultants are intensively trained. We have a very low staff turnover and we interview all our candidates comprehensively. When you recruit sales people through Howard Jackson, you will only deal with dedicated consultants who understand your requirements and your business. IT Sales is a fast-paced industry, with products and new markets being developed daily. This means that there is a constant need to up-skill existing sales staff so that our clients remain competitive in the market. At Howard Jackson, we have our own specialist Sales Training department, which is endorsed by the ISM. Providing an additional service to many of our clients looking to invest in their sales teams, our Sales Training department can deliver bespoke courses tailored to our individual client needs. Visit our Sales Training section to find out more about our training services offered. Whether you’re a potential candidate or client, then we would love to hear from you. To find out more about how Howard Jackson may be able to assist your IT company based in High Wycombe, please call us on 0800 059 0590 or you can email us at applications@howardjackson.co.uk. If you prefer, you can also request a call back and one of our sales recruitment specialists will telephone you within the next 24 hours. "Howard Jackson helped me to secure my next role after Celsius placed me originally in my first role as a Graduate." © Copyright 2019 Howard Jackson Recruitment Limited. All rights reserved.